This is a very logical pattern really. 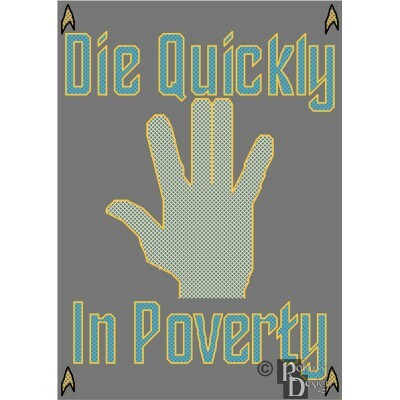 As everyone knows the Vulcan salute means "Live Long and Prosper". 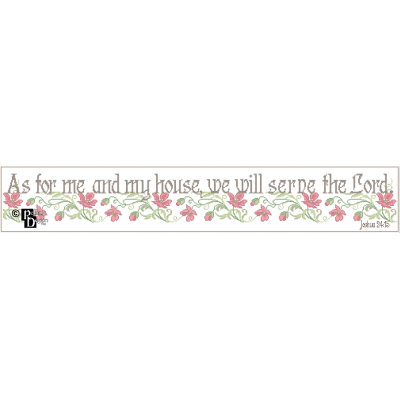 Therefore, if the salute were reversed, it must mean "Die Quickly in Poverty".This pattern was hand designed by a professional artist/crafts personFinished size is approximately 5" wide x 7" h..
A bit of scripture to hang above a door. 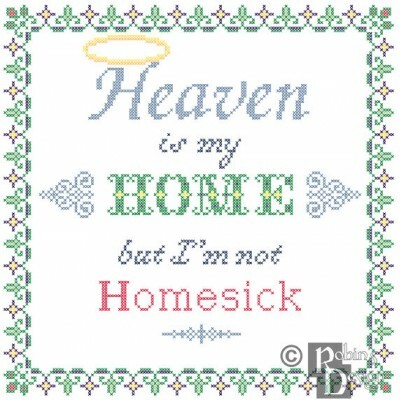 This is a quote of Joshua 24:15.This pattern was hand designed by a professional artist/crafts personFinished size is approximately 36" wide x 6" high when worked on 14 count fabric (504 x 84 stitches) The image is composed of 8 colors. THIS IS NOT A KIT.Each pattern contains:* Color picture of the fin.. The quote has been attributed to Benjamin Franklin. 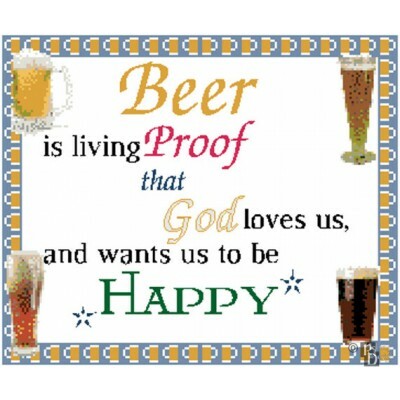 This would make a great gift for the beer lover in your life.This pattern was hand designed by a professional artist/crafts personFinished size is approximately 11"x13" when worked on 14 count fabric (153x182 stitches) THIS IS NOT A KIT.Each patt.. I've thought for years that the familiar Bible quotation was misinterpreted. At least, this is what I think it should read. The border says "11 cheers for binary!" in ASCII.This pattern was hand designed by a professional artist/crafts personFinished size is approximately 7" wide x 5" high when wo..
One of funniest things Monty Python performed was the Dead Parrot sketch. 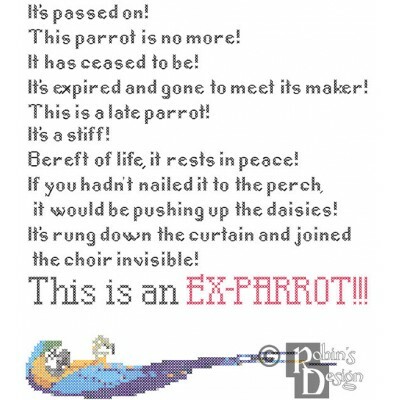 This counted cross stitch pattern quotes the full rant issued by John Cleese about the state of his new Norwegian Blue parrot. 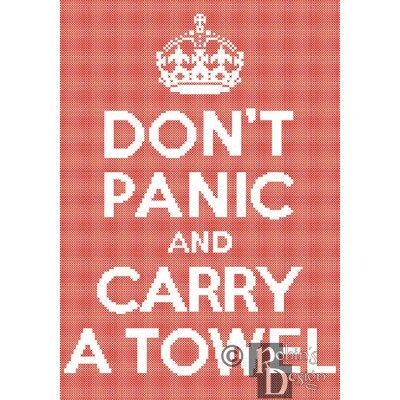 This pattern was hand designed by a professional artist/crafts personFinished size is approximate..
Show everyone what a hoopy frood you are with this reminder from The Hitchhiker's Guide to the Galaxy.The pattern can be stitched on colored fabric or the background can be sewn. Please specify if you want the pattern with or without the background stitches when ordering.This pattern was hand design.. 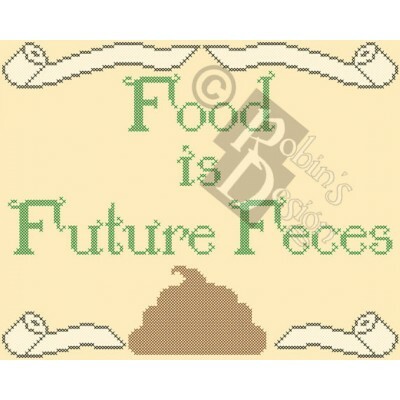 I don't care how great a cook one is, this is true.This pattern was hand designed by a professional artist/crafts personFinished size is approximately 10" x 8" when worked on 14 count fabric (140 x 112 stitches) and is composed of 4 colors. 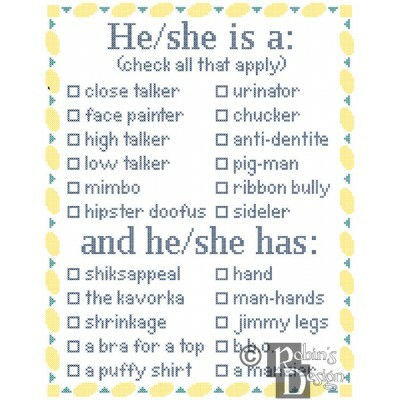 THIS IS NOT A KIT.Each pattern contains: ..
My mother told me the mother of friend of her's used to say this. 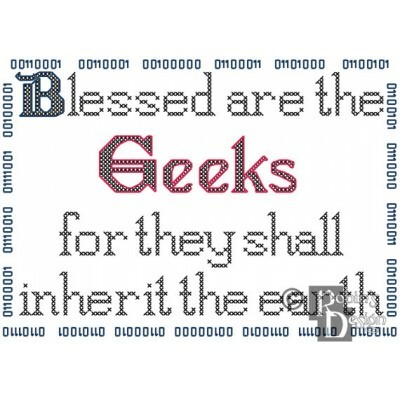 I really liked the phrase and thought it was perfect for cross stitch. 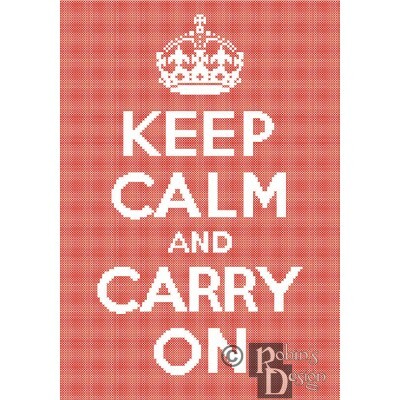 I can see this made as a pillow or hanging on a wall.This pattern was hand designed by a professional artist/crafts personFinished size is approximately 10.5" wi..
One of my favorite lines from one of my favorite films. This pattern was hand designed by a professional artist/crafts person.Finished size is approximately 8.75" x 7.5" when worked on 14 count fabric (120 x 103 stitches) and is composed of 4 colors. 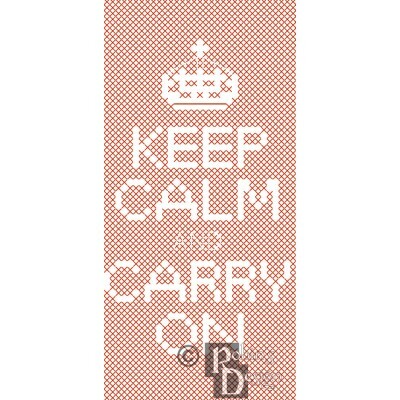 THIS IS NOT A KIT.Each pattern contains: ..
One of my favorite quotes from the tenth Doctor. 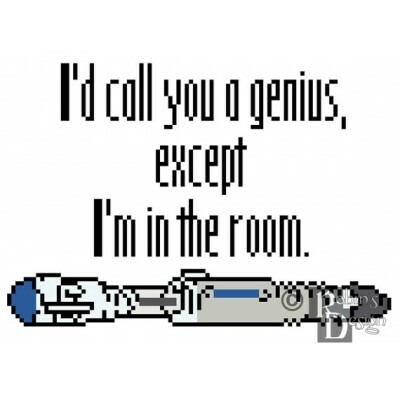 Underneath the quote is the Doctor's sonic screwdriver.This pattern was hand designed by a professional artist/crafts personFinished size is approximately 7" wide x 5" high when worked on 14 count fabric (97 x 69 stitches) The image is composed of 6.. This image was taken from the original poster produced by the British Ministry of Information in 1939. The font is unusual with a distinct letter R. Unlike many versions of this poster, I used the original image to create my pattern thereby using the same font.The pattern can be stitched on colored .. This is a small version of the British World War II motivational poster scaled to fit on iPhone 4, 4G and 4S cases that have a count of at least 33 x 69. The image can be stitched with one color if using a red case.This pattern was hand designed by a professional artist/crafts personFinished size i..